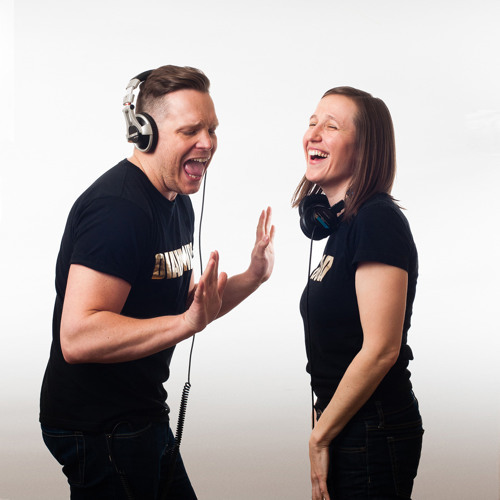 House of Gold Diamonds is Winnipeg’s beloved party production and DJ duo, Mama Cutsworth and DJ J. Jackson. Often surrounded by an army of drag queens and burlesque performers, this dynamic pair is known for their infectious love of music and thoughtfully curated events. Their dance floor is filled with positive energy and fabulous people. By the end of the night, these two are likely at the front of the stage or perched on a speaker, proudly lip syncing their hearts out. Choreography included. Mama Cutsworth (Sarah Michaelson) has been a DJ and dance party curator for nearly a decade, performing from coast to coast and throwing elaborate theme parties (like “Stay Golden,” her tribute to TV’s “The Golden Girls”). She stands out for seamlessly mixing songs from extremely different genres and time periods within a single set. Aretha Franklin or Crystal Waters, Prince or Dolly Parton, The Bangles or Beyoncé: they’re all fair game when Mama Cutsworth walks onto a stage. This spring she performs in Bogotá, Colombia and São Paulo, Brazil and will be touring Europe in the fall. DJ J. Jackson (Jón Jackson Olafson) is notorious for maintaining a packed dance floor with his careful selection of disco house, dance anthems, indie pop, and retro classics. He has performed in various venues across Winnipeg, including regular appearances at Fame, Union Sound Hall, and Club 200. DJ J. Jackson recently took his show on the road to Toronto and will be performing this summer in Germany and during the August Pride festivities in Iceland. In 2012, the pair of DJs discovered one another and threw their inaugural House of Gold Diamonds party at the now-defunct (but still loved) Lo Pub. It was “I Wanna Dance With Somebody!,” an all-diva dance party and tribute to Whitney Houston that has since become an annual Winnipeg tradition. Cutsworth and Jackson strive to bring exciting and memorable events to the city, like “Holiday: Celebrating 30 Years of Madonna,” a night where they played hours of strictly the Material Girl’s music to hundreds of her fans. Each one of their parties is filled with joy and unexpected moments, be it a surprise drag tribute to Madonna, a set from a rapping burlesque performer, or confetti canons shooting over the audience. This is House of Gold Diamonds. Come shine with us.